So this week the subject in Lilla's class is Home Decor. The assignment is to create a pattern for a plate and some other smaller dishes. This is what I have done so far. I am not sure if this is the one I will be turning in or not. I need to sleep on it a bit. It isn't due until Sunday night at 5PM. You may recognize the gold flowers as being from one of my paintings. The design itself is supposed to be based on the idea of a suzani. I had never heard of a suzani before but here is a link in case you haven't either. I read where the traditional suzani has the colors of black, white and pink. I couldn't do pink. But I did add a bit of red to it. I think it looks rather Christmas-y. I am really having fun with this class. It is a real challenge to make something that would be marketable. I am not really a trend setter or follower if you get my drift. Never-the-less, I am learning a great deal even if I never sell a thing! I am actually taking another class called "The Art and Business of Surface Pattern Design". At first I thought that taking both classes at the same time might be too much for me but this class is actually quite complimentary to Lilla's class. It is taught by Rachel Taylor and it is much more about the actual creating of the patterns using hand drawn imagery and then manipulating them in Illustrator and Photoshop. I never really knew how to create patterns in Illustrator. Or I did know and I forgot. Actually I forgot quite a bit about the software but it is like riding a bike--once you learn it, it comes right back to you. So have a great weekend everyone and don't forget to turn back your clock! Enjoy your extra hour of sleep! 1. 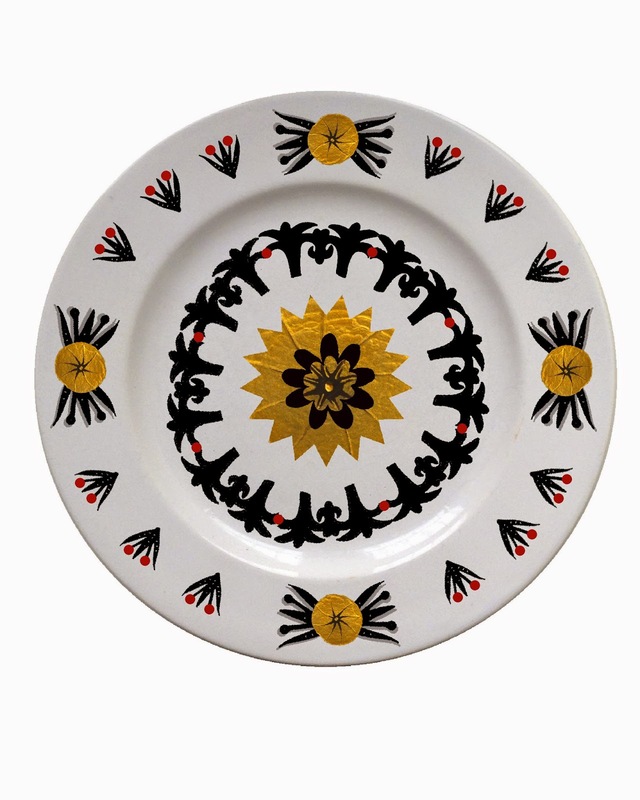 Why is it that most plates have rotational symmetry? I wonder what you would come up with if it was required that it didn't? 2. I am a pink-free zone too. 3. I recently turned my clocks forward . . . YAY SUMMER! Not that the howling wind right now is anything to cheer about!